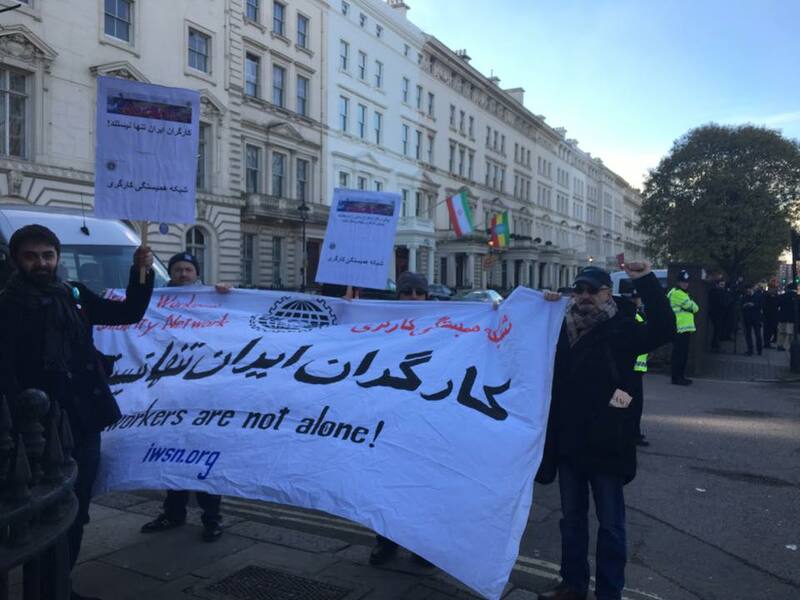 On February 11th activists in London gathered at the Iranian regime’s embassy to protest against the usurpation of the glorious revolution of 1979 by the most blood-soaked section of Iran’s bourgeoisie. February 11th is the official celebration of ‘Revolution Day’ in Iran, where the Iranian capitalist state celebrates a totally distorted history of the Iranian Revolution, one where the reactionary Shia hierarchy led the revolution against the Shah! However, the truth is that the Iranian Revolution was made by Iranian workers, fighting not only against the corrupt monarchy but also against the failure of the capitalist system to provide them and their families with the basics necessities of human life. They were robbed of their gains in the revolution and then savagely repressed for over 35 years. 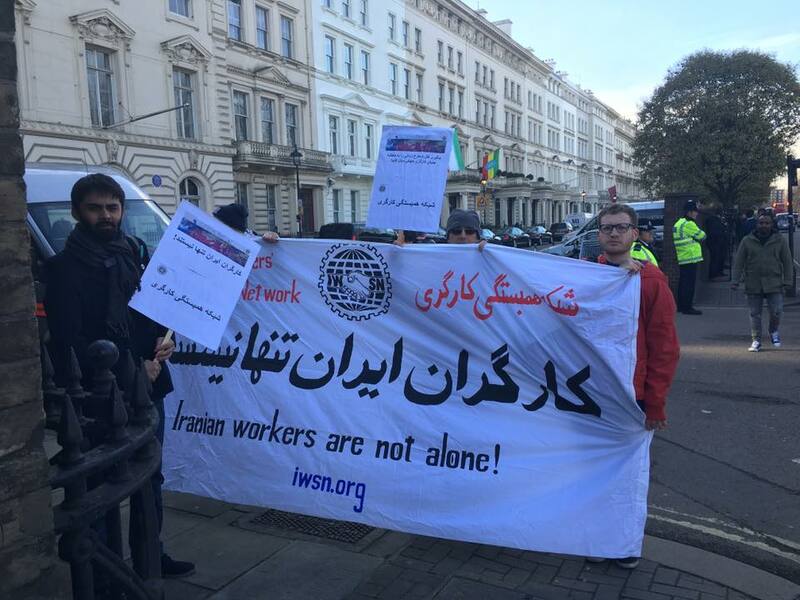 We chose this day to protest at the Iranian state’s treatment of the labour movement that fought for freedom in 1979 and continues to fight for freedom today. Republished from the Shahrokh Zamani Action Campaign website.